I know I don't normally post on weekends, but I've make an exception for this collection since the owner Yvette restocked the shop this morning and I want you all to have a chance at getting your hands on some! 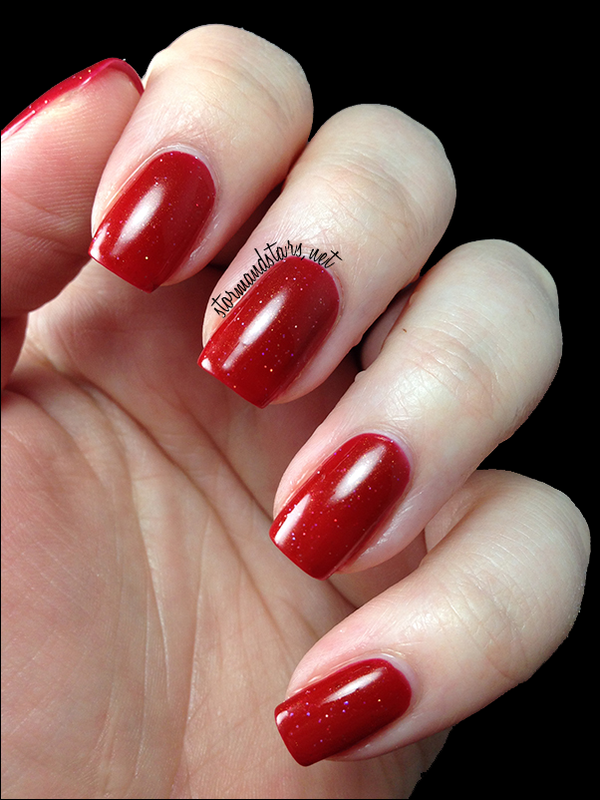 Bliss Polish is a relatively new to me brand, but from what I have seen Yvette's lacquer is top class! 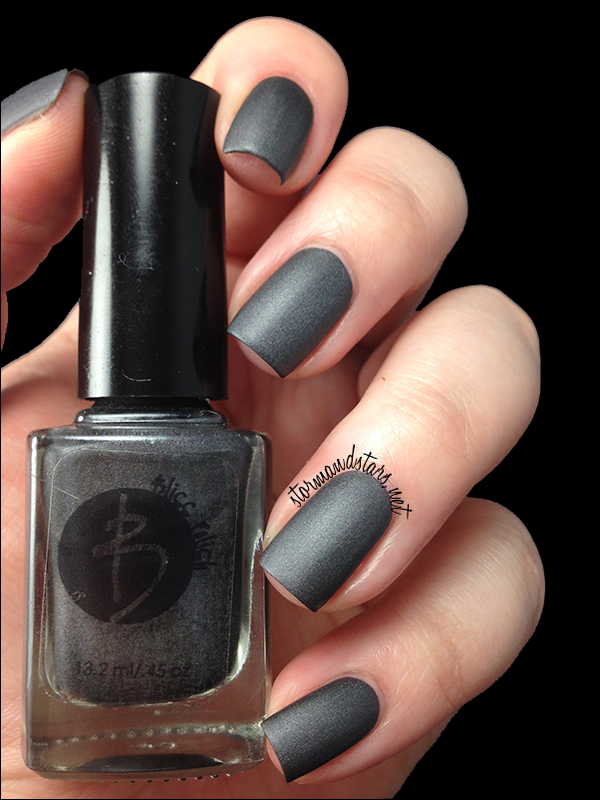 I have three colors to show you today from her Sons Of Anarchy Collection. 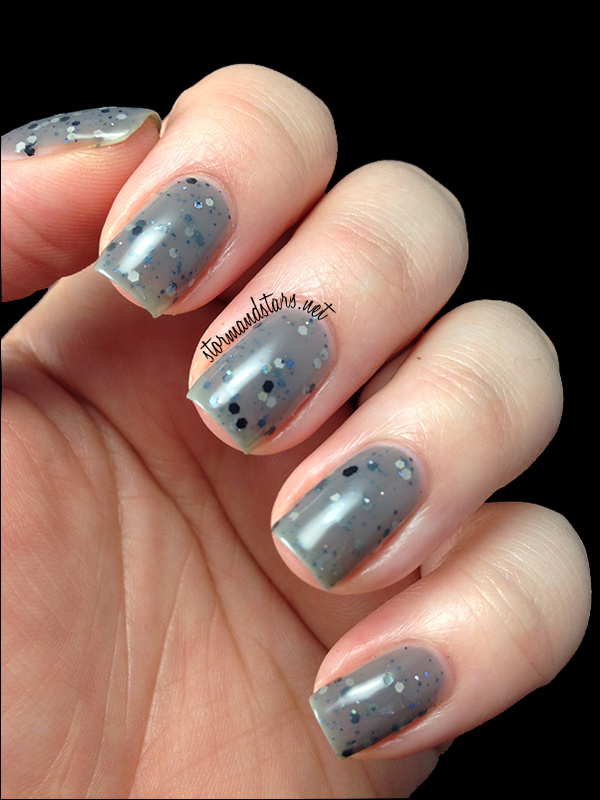 There is a little something for everyone with a glitter, a thermal and a matte lacquer. Shall we get to them? First up is the stunner of the bunch for me. Meet Jax. 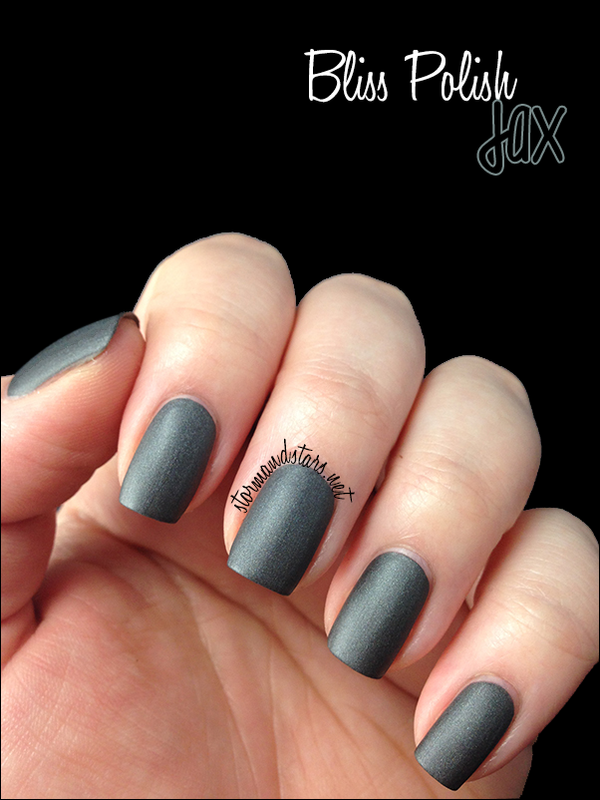 Jax is a dark gray lacquer with a silver shimmer and a STUNNING matte finish. I was so surprised when I saw this had a matte finish and I absolutely love it! I thought I would want to make it shiny to bring out the shimmer more, but the finish and formula are just so perfect that I didn't want to. I used two super easy coats for these photos. 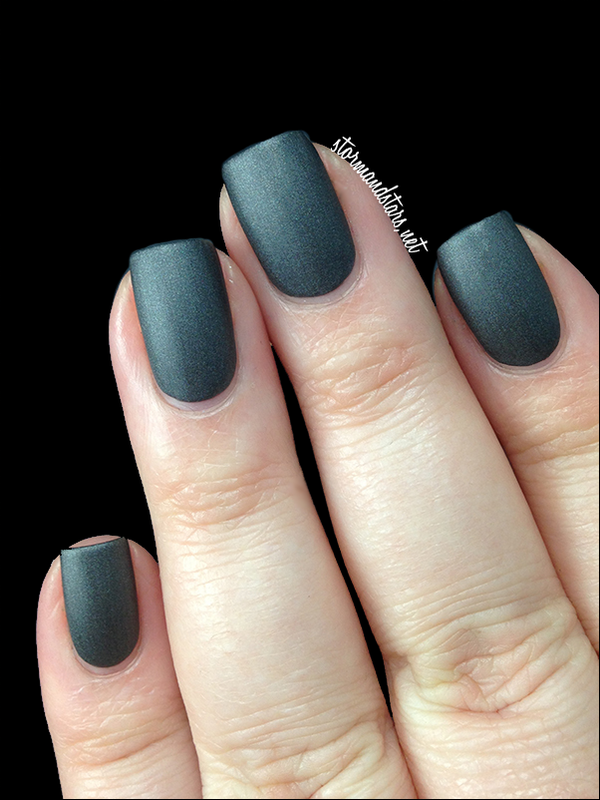 And unlike many matte lacquers this one didn't leave streaks and was perfectly self leveling. 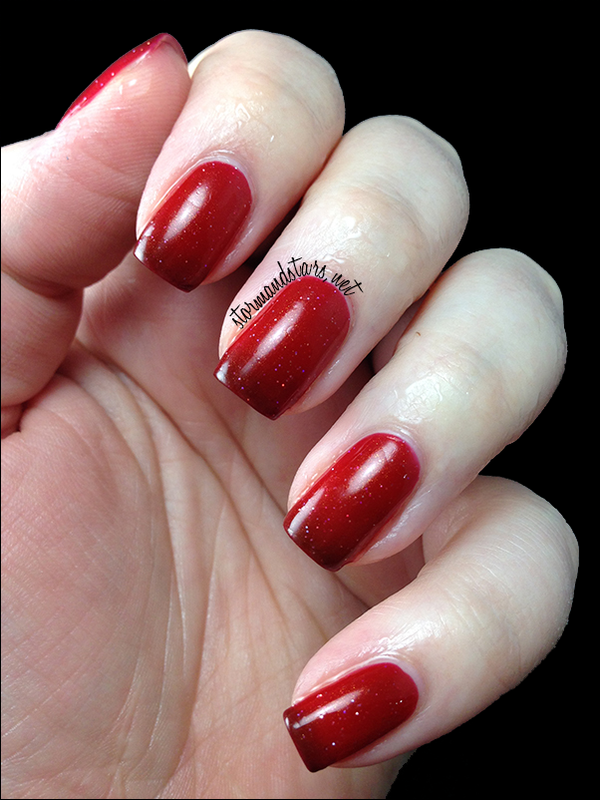 Above, you can see in the bottle, the shimmer that would have been more pronounced if I had added a topcoat. Our glitter polish for today is Opie. Another beautiful gray polish, Opie is a gray crelly with black, white and gray glitters throughout. 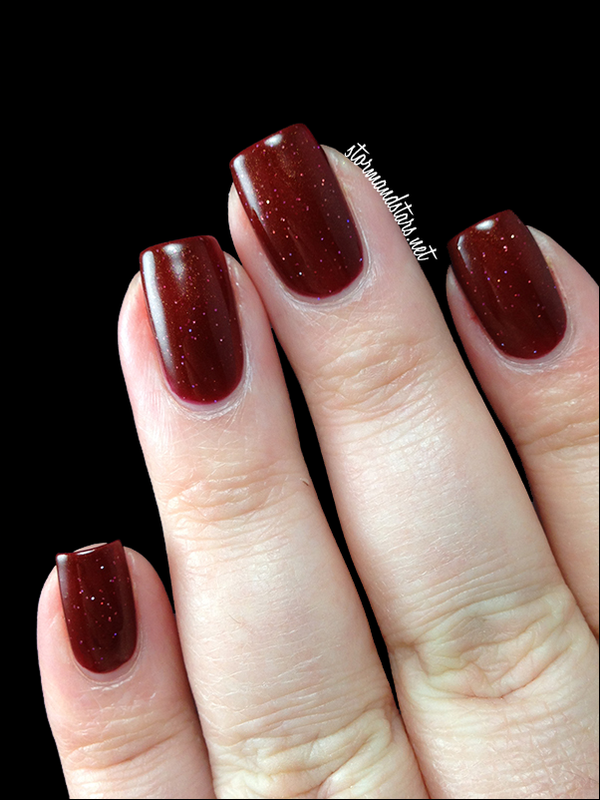 I used two coats for these swatches and had no problems with formula. I added topcoat to finish everything off and make it smooth. I love anything gray or black and white, so this is perfect. I love how it looks all squishy on the nail. 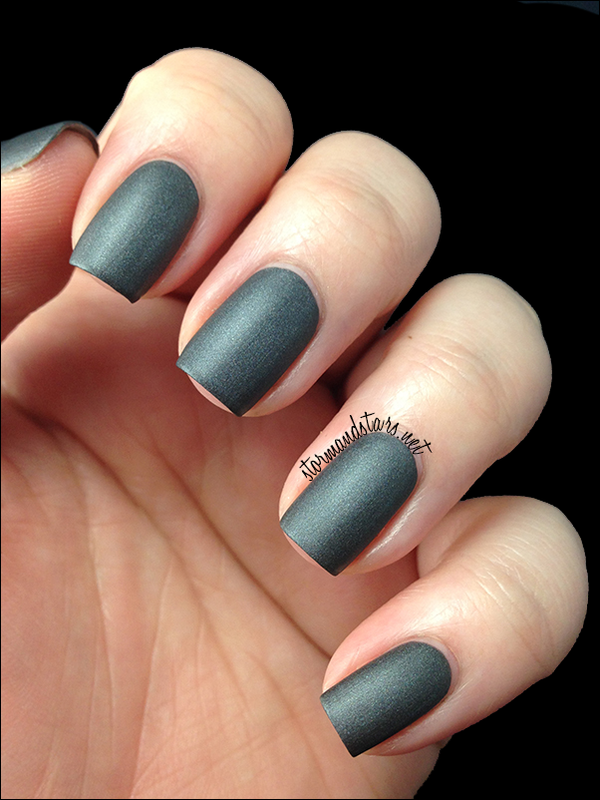 If you love gray polish you need this! Finally we have the most complex from the lacquers. This one is Gemma! 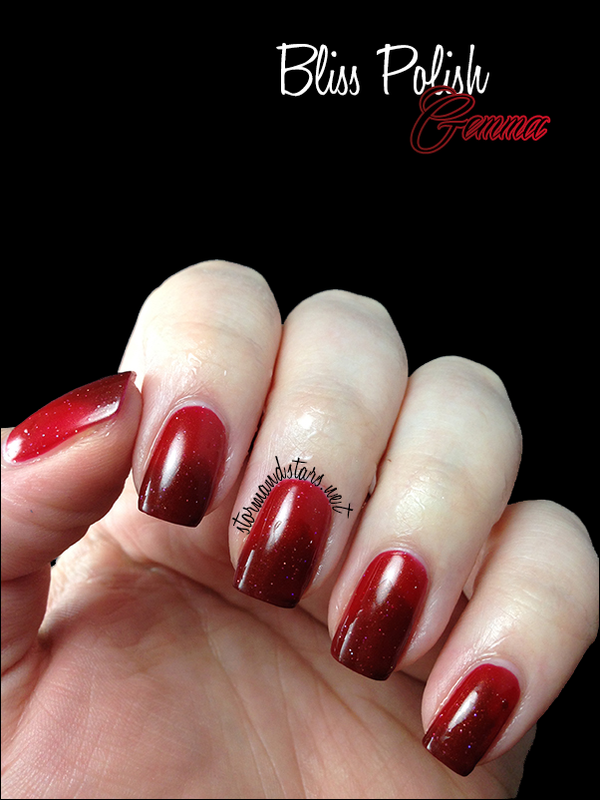 Gemma is a bright to deep red thermal lacquer with scattered holographic particles. This lacquer starts out a bright red when your hands are warm and turns a dark almost brown red in the cold. Below you can see the fully warm state of this beautiful lacquer. 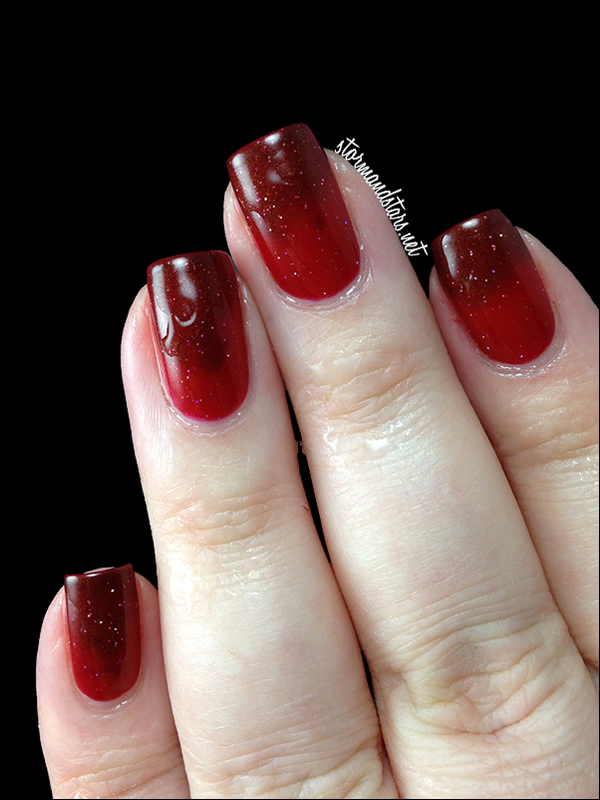 This is such a perfect red and the holographic particles really make it shine. The next set of photos will show you Gemma transitioning from this warm state to it's fully cold state but dipping my nails in icy water. I could play with thermals all day. I love making the colors change! These next photos are Gemma in her fully cold state. This lacquer is absolutely beautiful and I really love when it it transitioning on the nail. 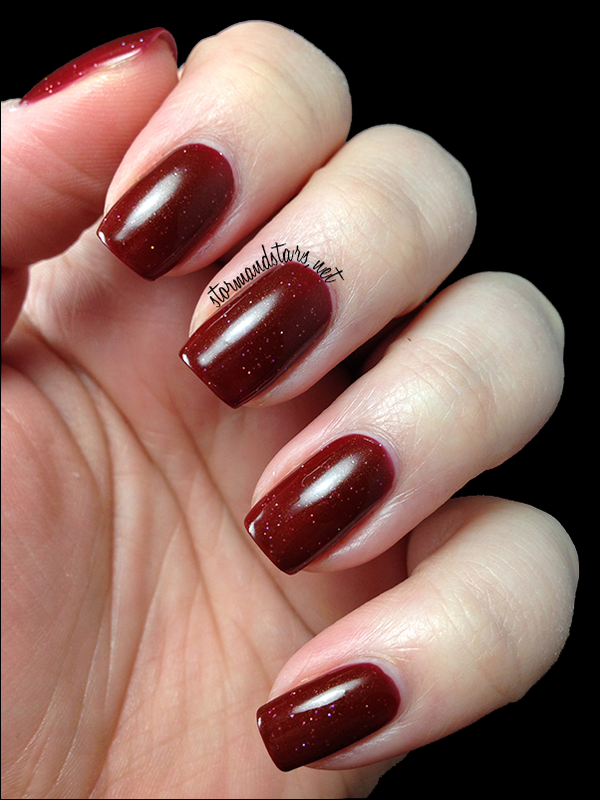 For the photos of Gemma I used two coats plus topcoat. I once again had no formula problems. What do you think of these lacquers from Bliss Polish? If you don't know this brand yet I highly suggest checking them out. I really loved these and will definitely be shopping there in the future especially of she releases more matte lacquers. You can purchase these lacquers and other Bliss Polish collections in their Online Shop, and please remember to follow Yvette on Instagram for news about releases and restocks as well as swatches of other lacquers not shown here! I LOVE your swatches! I am editing my pictures for this collection - I absolutely adore Jax and Gemma ♥.